Downtown Houston’s culinary scene is an interesting one with jarring contrasts. Southern comfort food mixes with modern international flavors to create a distinctly Texan dining experience. Here are the top 10 restaurants in downtown Houston. This restaurant is a world-class steakhouse with true Texan charm. The space is upscale but cozy, an impressive place to bring a date or a business contact. Servers and sommeliers are courteous and extremely knowledgeable about steak and pairings. As for the food, delectable steak melts in your mouth while classic sides like potatoes au gratin, Brussels sprouts and wine mushrooms never fail to satisfy. The crab cake and other seafood choices are excellent as well. Make sure to leave space for their croissant bread pudding or the house-made bourbon ice cream. 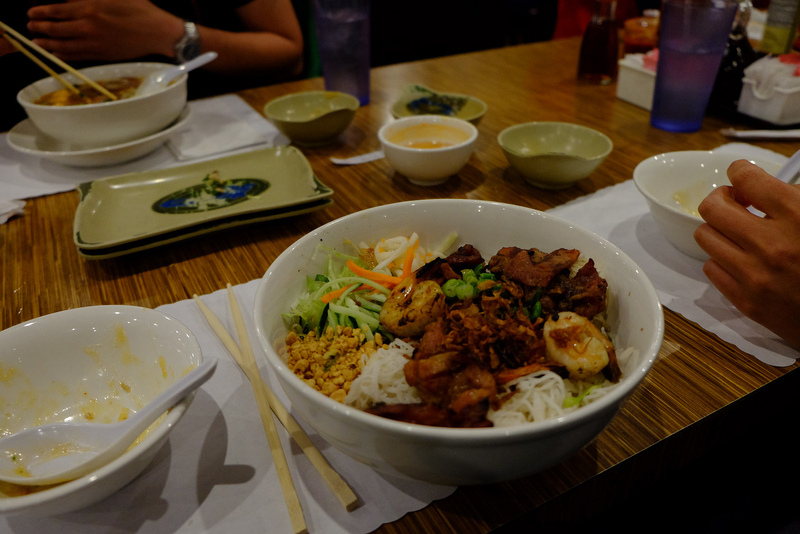 Come to Huynh for yummy Vietnamese staples and family-style service. The inside is casual yet elegant, which sets this place aside from many other quick lunch joints. Patrons swear by the pork spring rolls accompanied by the chicken noodle soup or the duck salad. The stews and broths are comforting, and fresh ingredients mean the food never leaves you feeling heavy. Café Sua Da (Vietnamese iced coffee with condensed milk) offers a sweet pick-me-up after the meal. The establishment does not serve alcohol, but customers are welcome to bring their own drinks with an uncorking fee of $2 per glass. They take reservations for larger parties and have a separate dining section for special events as well. 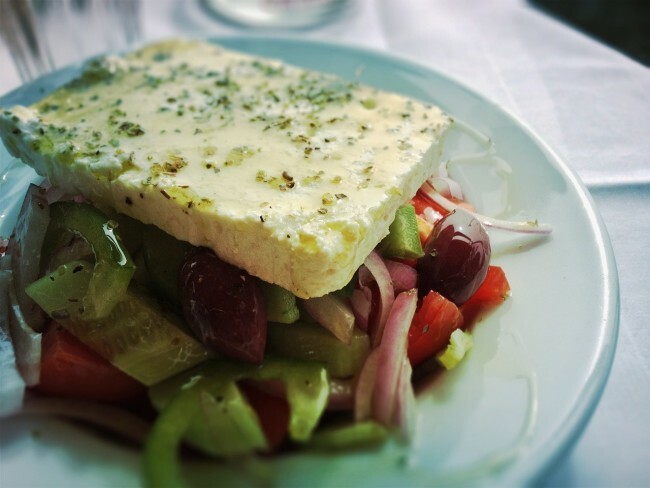 This Greek haunt will forever redefine the way you eat grilled food. Every piece of meat, chicken or seafood that passes through their kitchen is adequately juicy, tender, crispy and savory in all the right spots thanks to their authentic traditional cooking methods. Get the mezze platter for a good sampler of the cooking style and flavors: it includes hummus, tzatziki and feta cheese with pita. Alternatively, order a gyro plate so you can build your own any way you like it. The lemon chicken is also a refreshing alternative. Ask for their changing dessert list, as you’ll want to try the milk pie, a sweet, creamy dessert encased in crispy phyllo dough. 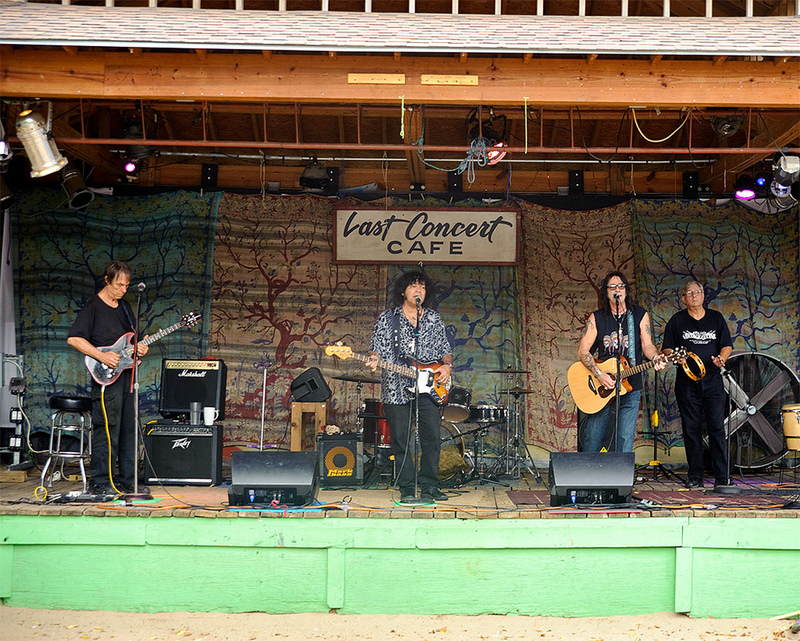 This place is a Houston institution that’s as cute as its name sounds. It’s a café and cocktail bar,serving a wide and varying crowd of regulars throughout the day. The space is beautiful and welcoming with flower motifs and breezy wicker furniture; ideal for birthday or bridal party brunch. The menu is mostly sandwiches and southern classics: think avocado and turkey BLT, duck gumbo, eggs on rye and beignets. Houstonians swear by the bread pudding. The cocktails are crafty and creative, like Miss Blyden’s Land Snail, made with prickly pear syrup, or the Coal Miner’s Daughter, a coffee cocktail with lemon and honey. 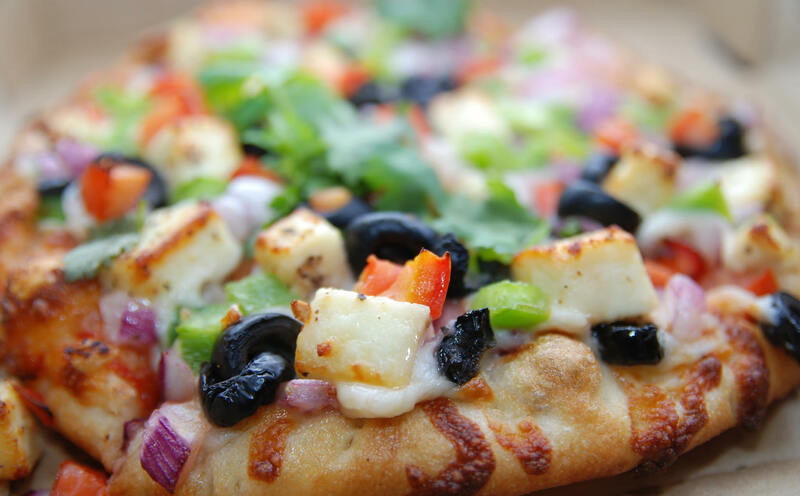 Bombay Pizza Co. offers an interesting menu of Indian classics with an Italian spin. Unique pizzas team up with pastas, burgers and naan rolls to create a menu that is never boring and the prices are good too. Don’t miss the buzz and order the Gateway to India, a pizza topped with tandoori chicken, crab, artichoke hearts, provolone, mozzarella and chutney, or try something new with the Berry Bombay, which has strawberries, onions, tomatoes and Gouda. A well-stocked wine and beer menu round out the meal. Outside seating available. Spicy meatball sub? Eggplant meatballs? Creamy gorgonzola sauce? Nothing on the Brooklyn Meatball Co menu will ever bore you. Everything is made from scratch using the freshest ingredients and tried-and-true recipes that locals beg for. The variety of the menu means you get to customize every meal to be exactly the same or very different every single time. Servings are plentiful, whether it’s the spaghetti or the salad, you’ll always have enough to take home. Don’t miss out on the cannoli, either, as they’re probably the best in Houston. 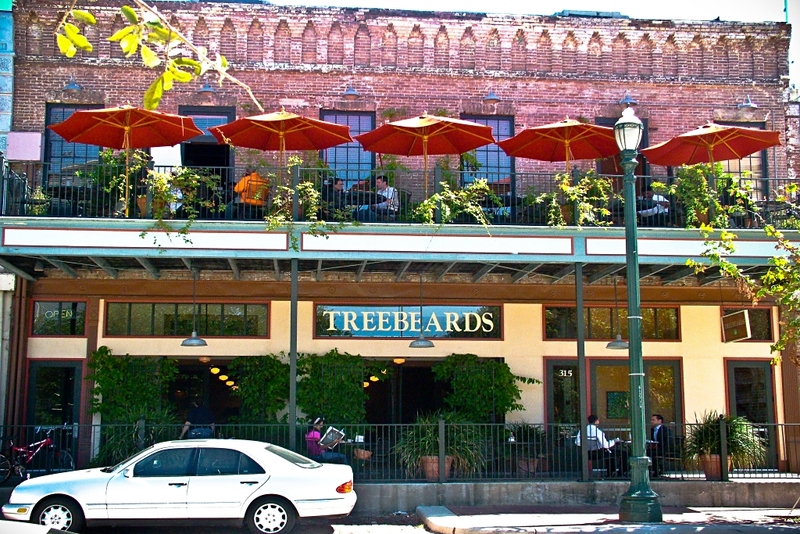 Treebeards is a no-nonsense Houston institution serving quality Southern food at a low price. Their five cafeteria-style locations (that means you stand in line and are served as you order) are always bustling with clients ordering gumbo, red beans and rice, étouffée, jambalaya, bread pudding and jalapeño cornbread. The assortment and price are enough to make anyone go wild. The space is available for events, but the restaurant caters, too. This particular location has pleasant outside seating as well. This sushi restaurant is a Houstonian favorite with good reason. 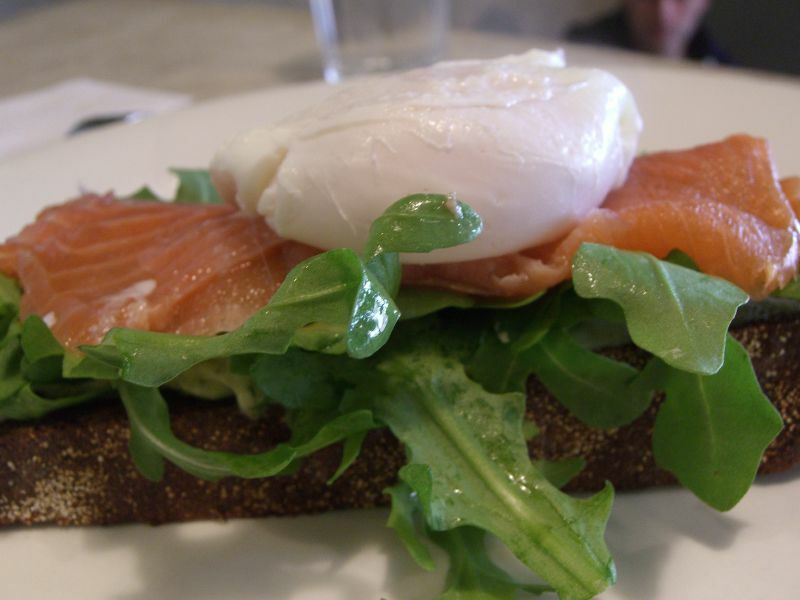 The fish is always fresh and well presented in a modern and sophisticated environment. Sushi roll servings are imaginative and generous. Many diners choose the panko-encrusted mega lobster roll or the piñata, which is served with spicy wasabi and martini sauce. The ahi tower and stuffed jalapeños are great choices for larger parties. For those looking for heavier fare, the restaurant also offers full entrées like the teriyaki chicken bowl. Take advantage of their loyalty program for gift cards and other promotions. Last Concert Café is a casual Tex-Mex restaurant that’s part dive bar and music venue that just screams fun. The best part is probably the nachos, which you can order every which way: beef fajita, salsa, guacamole, you name it. The chicken torta and the enchiladas are stunningly flavorful, while the sizzling fajitas will make your heart do back flips. The restaurant is also a great brunch spot on Sundays. There’s music all day long as you enjoy a wide ranging menu that includes lunch and breakfast favorites like margherita pizza and egg tacos. Those who love a sweet breakfast will want to ty the bananas foster croissant. There’s no other way to say it: this place is just super cool. Great food, beautiful cocktails and a polished ambiance grace what used to be a Confederate armory in the middle of Downtown Houston. Brilliant chandeliers hang from cast iron beams illuminating exposed brick walls that are full of history and charm, while a mirrored bar back reflects the room. 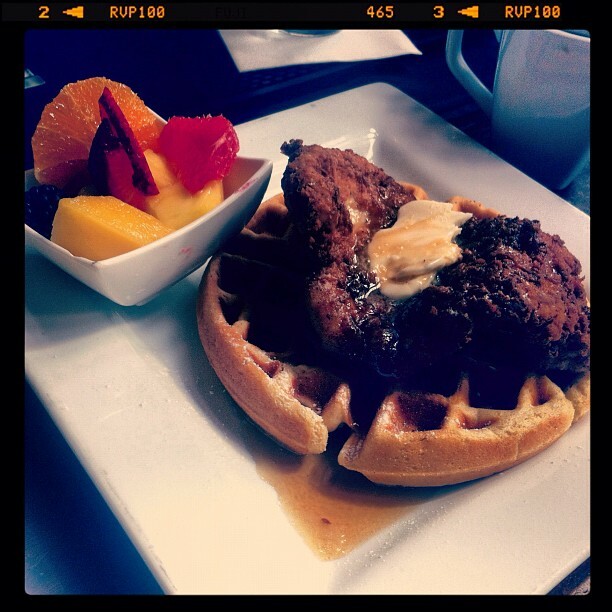 The menu is at the same time down-to-earth and refined, with chicken and waffles being served alongside chicken piccatta. The Byrd burger is huge and flavorful, and the Saint Arnold batter asparagus make for a truly Texan side. For brunch, choose the lemon blueberry ricotta pancakes with the Pink Delicious, a refreshing champagne, grapefruit and gin drink.